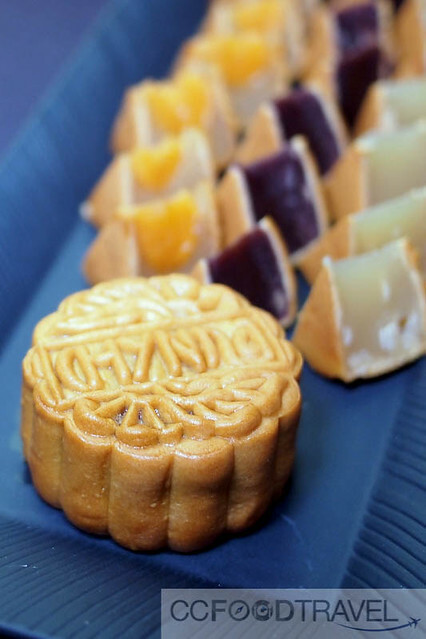 It’s mooncake madness, and it’s this time each year, that fans don’t mind ingesting 1,000 calories per piece just because it is the Mid-Autumn Festival. 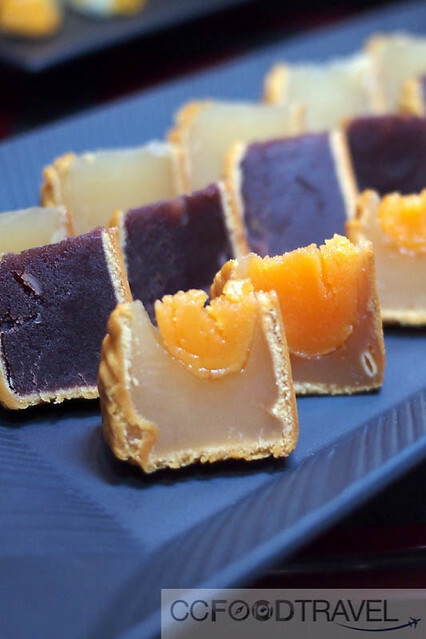 Come the fifteenth day of the eighth month of the lunar calendar, hotels, restaurants and bakeries set up their special mooncake counters just to service the die-hard fans and customers of mooncake. Though the festival falls on the September 30, the promotions can start appearing even as early as a month before. Well then, giving mooncakes as a gift is actually rather nice if you ask me. Even if you don’t eat them yourselves, it’s a great chance to build relationships with bosses, colleagues, or as gifts when visiting family members. 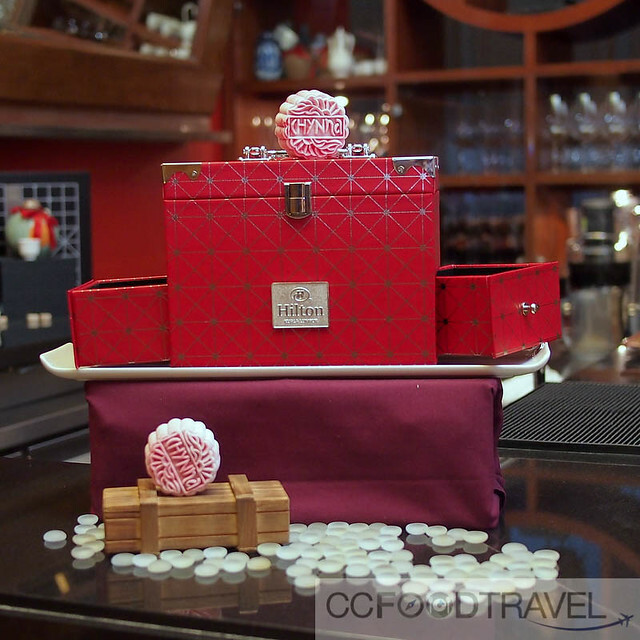 These days, mooncakes have morphed into luxury items, possessing unique characteristics and equally grand and flowery names to match. 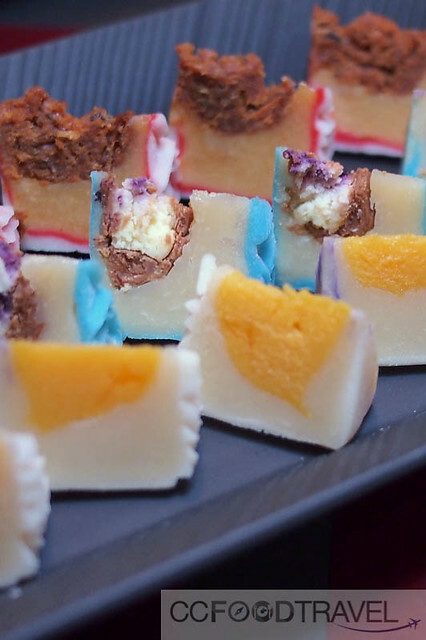 Here are some fabulous ones we just tried at Chynna, KL Hilton. Super delicious and moist.. actually anything with reduced sugar and a huge salted egg yolk, I like! 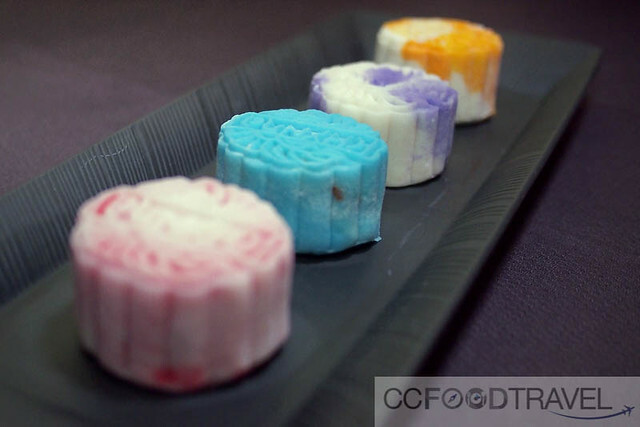 Chynna’s mooncakes are fabulous – not sweet but really decadent with an oily yolk! I think busting my 1000 calories quota is totally worth it! Of the lot, this is my favourite from KL Hilton this year. A slice of the moon indeed, and I give you the Fiery Phoenix! 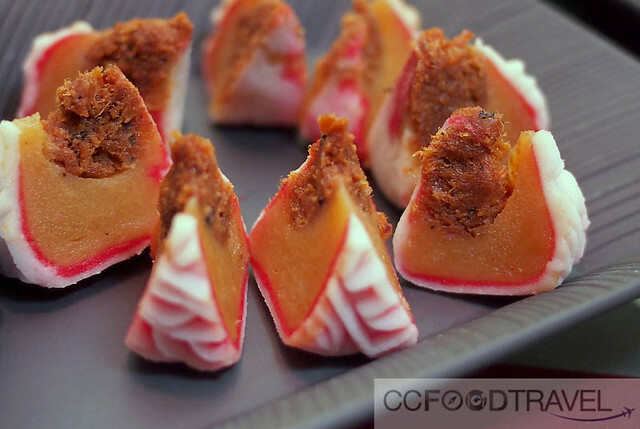 It contains a heart of chicken meat & floss, dried scallop, shrimp, flavoured with chili padi, lemongrass and mint, wrapped in an oh-so-smooth lotus paste. Let me see.. 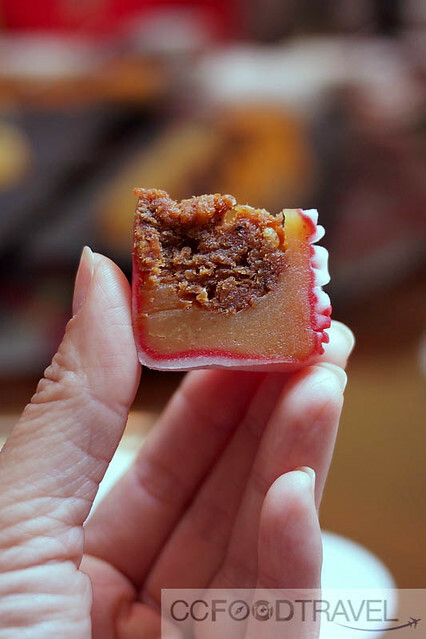 I can’t describe it any better, except that it has great texture and oomph – it tastes like sambal hebi (dried shrimp sambal) and meat floss all in one, but with a lingering mouthfeel of lotus paste. Sweet-salty, prawny and spicy all at the same time, it makes for a toothsome snack. Very strong flavors so you really should try it if savory snacks are your thing. 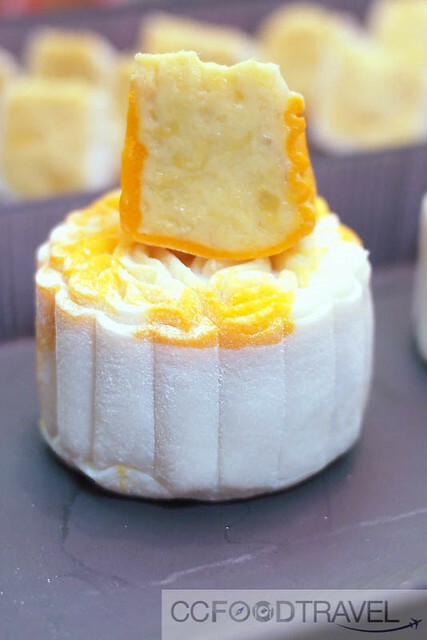 The snow skin has two layers – dimsum chef Chan Teck Woo, tells us they wrapped it twice with a very thin snowskin each time, first red, then white. The red color comes from Red Yeast Rice. For the blue snow skin, the color comes from Clitoria ternatea or the blue pea, and the purple skin color is from Yam. Apparently one piece of durian (with a small seed) can make 2 Musang King mooncakes which means it’s bursting with aroma and durian flavour. It’s actually filled with so much fresh fruit and close to nothing artificial added to bind it together, that you need to eat it fast, before it melts. 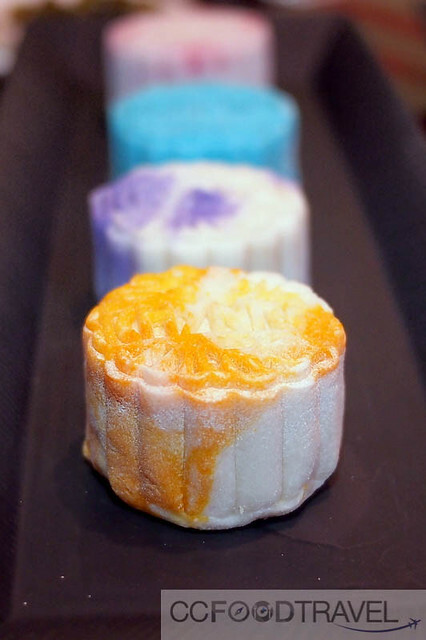 A colorful, tantalizing, creative selection of Mooncakes at Chynna KL Hilton to say the least. They definitely have changed it up with the new flavours so it looks and feels different from last year’s. Time to pick up those gift packs me thinks! 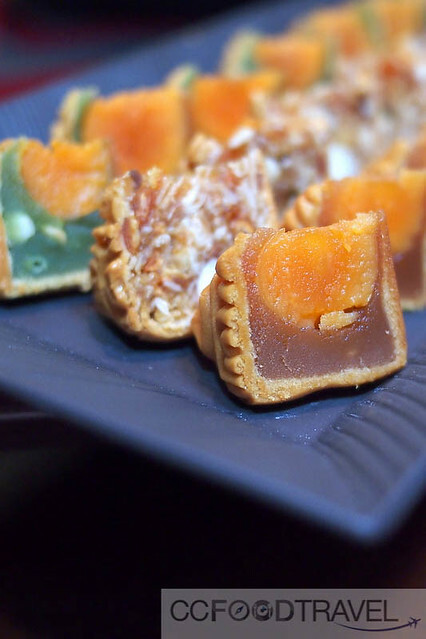 I would only go for the traditional skin, no others…with lotus paste filling. Don’t mind an egg yolk or two but they’re getting too expensive now, so I would not bother buying and eating anymore. Just one, enough for a meal for three here – see my blogpost tomrrow. Really? I love a good traditional with yolk. But I do love a good snowskin too! Looking fw to ur post esok.